Two small businesses with big website requirements explain how they ultimately got what they wanted in a website developer. South River Technologies knew its six-year-old website was, in technology years, ancient. As its product lines and business had grown, the Annapolis, Md.-based software company's website had amassed 400 pages, was HTML-based and complicated to update. Because of the way search engine optimization works, South River Technologies' product pages were often the first contact new customers had with the company, making it all the more critical the pages were up-to-date and easy to navigate. Additionally, any website developer hired to redo the site would have to address the company's global reach -- South River Technologies' flagship product, WebDrive, boasts customers in 125 countries. Updating the company website was not just about improving appearances. Approximately 35% of company sales came through South River Technologies' online store, with global sales every bit as important to the company's bottom line as its domestic sales, said Tracy Welsh, vice president of business development. The firm's outdated site could jeopardize those sales and limit future online growth. The company determined that a complete website do-over was in order for a cleaner, more modern feel, more intuitive navigation and -- very important -- a seamless connection to the company's hosted shopping cart software that allowed customers to add items to their orders and check out. South River Technologies' tough-minded appraisal of its website makes good business sense, particularly when it comes to reaching customers worldwide, according to John Yunker, co-founder of Ashland, Ore.-based consulting firm Byte Level Research. One of the biggest mistakes that companies make when first going global is to assume language translation is enough, when the reality is much more complex: To facilitate e-commerce, website developers should include visual clues on their .com home pages to help users find a localized website, Yunker said. We [also] thought they had significant technical competence and could handle the many moving parts there were to this project. The first priority for South River Technologies was to find a Web design firm located near enough to collaborate in person and that understood the company's team-centered culture, Welsh said. "We wanted someone who was not going to push their own ideas but be collaborative, understand what we wanted and make good suggestions," she said. After extensive interviews and quotes from several firms in the Washington, D.C., area, the company chose a Web development firm that was literally a mile up the road. South River Technologies just "clicked" with the firm, both the website developers and site designers, Welsh said. "We [also] thought they had significant technical competence and could handle the many moving parts there were to this project," she said. "We also determined pretty early on that they were going to be very responsive." The firm's responsiveness became evident one evening when her team was working late and edited a host file, accidentally bringing the site down. An email sent at 8:30 p.m. garnered an immediate response, and the site was fixed that same evening, she recalled. "That, right there, was worth whatever we had to pay." For other SMBs, building a new website might mean learning a little bit about programming. That was the case for Jordan Keith, marketing and customer relations manager at SIFT Dessert Bar. For the Santa Rosa, Calif.-based confectionary, rebranding its business from cupcake shops to a full-service dessert bar triggered the need for a major site redesign with more streamlined e-commerce options. Prior to the rebranding, SIFT's website offered shipping to the 48 contiguous U.S. states, but the company struggled to efficiently ship its products. For example, just preparing one FedEx shipping label took SIFT four steps, recalled Keith. 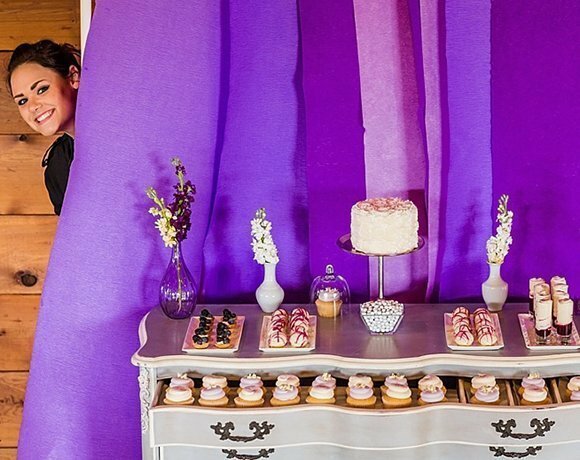 The dessert bar went with the development firm that worked with the designer in charge of its rebranding -- and that was also doing a beautiful job for another client. But great recommendations don't always equal great results. After six weeks, the developer admitted its team couldn't handle the job's requirements, Keith said, and SIFT was left looking for a new developer. The setback was discouraging. Starting with a new Web developer would require transferring thousands of email messages, Keith said, and there was no guarantee that the new developer could pick up where the old one left off. SIFT turned to its website's back-end provider, Shopify, to help it find a replacement, but this time Keith wasn't taking any chances that the newly redesigned website couldn't handle the company's biggest business requirement: efficient shipping of perishable food items. "I learned how to write code," she said. Because Shopify uses a combination of apps to create custom websites, she wanted to ensure each app worked together smoothly. And it was a challenge. "We're a dessert bar. We don't create websites," she added. But SIFT is thrilled with its new website nonetheless. "I think with what we wanted -- unless we wanted to spend $30,000 to $50,000 on a full customized website -- we couldn't have done anything differently," Keith said, noting that SIFT spent a small fraction of that on the redesign. "We would have skipped the first developer [working with rebranding designer], but our website is beautiful, so we're happy with it." Does your small business really need a mobile app? That's not to say all the kinks are worked out on the website's backend. Customers still complain occasionally about shipping, even as they lavish compliments the site design, Keith said. But the newly rebranded full-service dessert shop is also seeing fewer abandoned online shopping carts and more completed purchases as a result of the new site. An attractive redesign also helps manage customer expectations, an important component of a successful e-commerce site, according to Byte Level’s Yunker. Delivery, returns and customer support are all questions customers ask before clicking "purchase." He added, "The further [the customer] is located from where you're sending the product, the more risk the user is perceiving." Keith's advice to developing an e-commerce site that is an asset to the business is simple and to the point: "Do research -- a lot of research," she said. "Make sure the developer you're hiring … can do exactly what you are looking for." Christine Parizo is a freelance writer specializing in business and technology. Contact her at christine@christineparizo.com. Is it important that the outside Web developer you hire fits your company's culture? I think so. I generally don't have any difficulty getting along with people of many different backgrounds and with varied personalities, but there are some character traits that just don't belong in a team setting. Arrogant, overly aggressive, lazy, or otherwise unprofessional employees can really derail a team.